Fans were left bemused when the Hard Rock Calling event was abruptly ended in order to meet a 22:30 BST curfew. One of them was Kevin Myers, deputy chief executive of the HSE. In a web posting, he said the promoter was "disingenuous" to give health and safety as the cue for ending the gig. "The fans deserve the truth," he wrote on the HSE website. "There are no health and safety issues involved here. "While public events may have licensing conditions dictating when they should end, this is not health and safety and it is disingenuous of Live Nation to say so." A Springsteen fan who was a member of the audience on Saturday, Mr Myers goes on to suggest 'The Boss' knows something about the issue himself. To support his argument, he invites readers to "look at the words of Factory from Darkness on the Edge of Town referring to the toll that factory work can take on the health of blue collar workers". 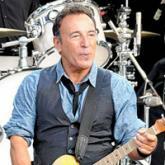 Springsteen's guitarist Steven Van Zandt was also angered by the concert's abrupt curtailment, using Twitter to express his dissatisfaction with "English cops". According to Westminster Council, however, the decision to end the concert was made by organisers "to comply with their licence". In a statement on the Hard Rock Calling website, Live Nation said it was "unfortunate" that the performance had been "stopped right at the very end". It said a 22:30 BST curfew had been "laid down by the authorities in the interest of the public's health and safety". Country trip Lady Antebellum supported Springsteen on Saturday and have added their voices to those bemoaning his enforced silencing. "I'm sure there was definitely a reason," said singer Hillary Scott. "I hear they had a very strict curfew in Hyde Park."